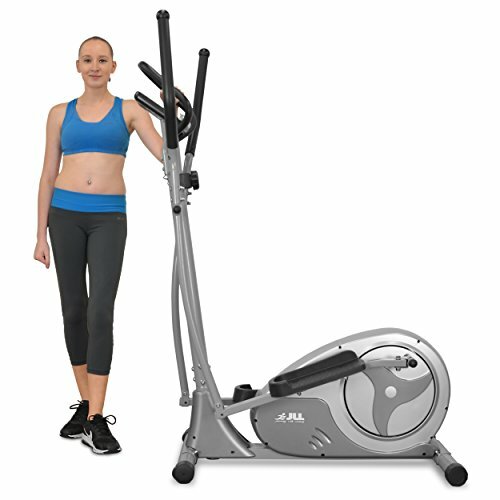 The JLL CT300 Elliptical Cross Trainer is yet another high-quality yet affordable exercise machine from JLL Fitness. Its features cater mostly to the novice users, but its wide range of resistance levels and various functions make it usable even for those on more advanced fitness levels. This model is also ideal for those who have limited space at home as its compact yet sturdy. But what makes this budget cross trainer stand out from other models? Keep on reading to find out! 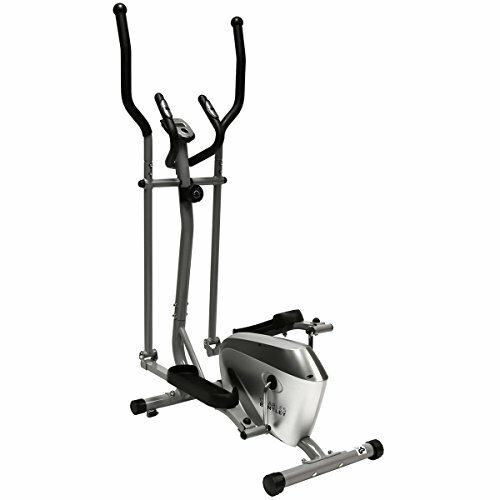 The JLL CT300 Elliptical Cross Trainer is stylish but its guaranteed to be durable with a maximum user weight of 100kg. This kind of fitness equipment allows you to exercise without causing excessive pressure to the joints, decreasing the risk of impact injuries. It can fit even in the smallest spaces because it’s only 120 x 61 x 167 cm and it only weighs 35.9 kg. The 5.5 kg two-way flywheel doesn’t just contribute to the stability of the equipment, but also provides you with a challenging yet smooth workout. This cross trainer allows you to pedal in forwards and backwards, helping you work out the muscles on both sides and make the most out of each session. With the two handlebars integrated on the JLL CT300 Elliptical Cross Trainer, you can freely choose how to maximise your workout. You can use the moving side swing bars if you want to achieve a full body workout by simultaneously moving your arm while pedalling; this will help you tone the muscles in your arms while keeping your body in shape. Or you can hold onto the stationary central handlebars with integrated heart rate sensors to be able to monitor your vital statistics closely. The dual action handlebars on the JLL CT300 Elliptical Cross Trainer both have comfortable foam grips for greater support when you workout. These foam grips are also sweat resistant and made of high-quality material, so they are guaranteed to be durable and long-lasting. Even if you live on the upper floor of a flat, you won’t have to worry about bothering your neighbours because this exercise machine works quietly. 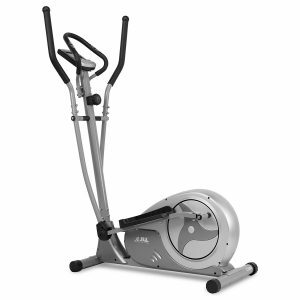 The JLL CT300 Elliptical Cross Trainer is belt-driven which makes each ride quiet and smooth. It offers eight levels of magnetic resistance that will continuously challenge you to become better, especially if you’re a beginner. This cross trainer also boasts of adjustable footplates that can be set to three different positions – making it suitable for a variety of users. They are also made of a non-slip material, giving you the confidence to workout even when you’re at your most intense pace. 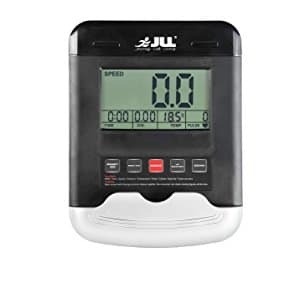 The JLL CT300 Elliptical Cross Trainer has a 9-function monitor which can display RPM, speed, distance, time, temperature, heart rate, calories, body fat & pulse recovery. This may be common among fitness equipment, but what makes this model stand out is that its monitor can also function as a tablet holder. If you’re bored at constantly looking at numbers, you can watch a movie instead or entertain yourself with other applications using your tablet. And although this cross trainer is lightweight, it’s still equipped with transport wheels so you can quickly move the machine from room to room without any hassle. The only downside that I noticed with the JLL CT300 Elliptical Cross Trainer is the fact that it has no built-in programs, unlike other budget cross trainers. Although it doesn’t affect its overall performance, built-in workouts are common among most fitness equipment, so it’s quite strange that they didn’t include any in this model. Nonetheless, you can still achieve an effective workout even without the built-in programs, and it actually gives you more freedom to create your own. The Fitnessform ZGT Z10 Cross Trainer Bike is a hybrid cross trainer that can also function as an exercise bike. Its manufacturer claims that its products are carefully engineered and tested for effectiveness and durability by some of the UK’s leading trainers, doctors and athletes. That means you’re guaranteed with a high-quality and effective fitness machine. Even though its lightweight at only 33kg, it can accommodate users with a weight of up to 110kg. At an affordable price, it already comes with built-in pulse sensors, and it features a quick dismantle function which is convenient when it’s not in use. 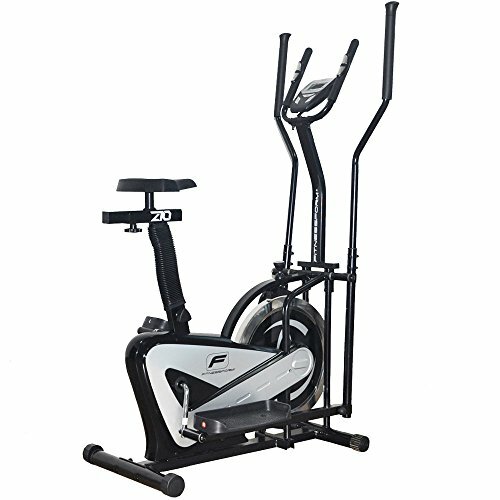 The Olympic 125 Elliptical Cross Trainer Bike is also a multi-functional cross trainer that can fit any budget. But even though it’s affordable, the quality wasn’t compromised as its made with a black tubular metal frame and its maximum weight capacity is 100kg. To add a bit of intensity to your exercise, you can increase the resistance level using the easy to reach adjustment dial located below the onboard digital monitor. This cross trainer bike features a soft saddle which is a common problem among this type of equipment, and it functions smoothly without making too much noise. 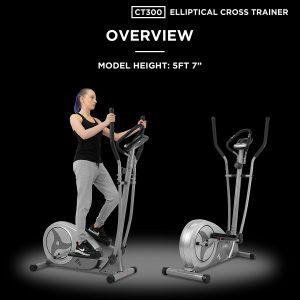 The Ultrasport Basic X-Trainer 100 Cross Trainer is a low-range fitness equipment that’s perfect for seniors and beginners. It features 4-way adjustable handles that can be set from a height of 53in up to 61in. The handlebars can also be attached in two different positions – the pulsating position wherein your arms actively participate in your movement and the fixed position where they are at rest on the handlebars. It has a maximum user weight of up to 100kg and its TÜV/GS certified, so you’re guaranteed its safe to ride on. 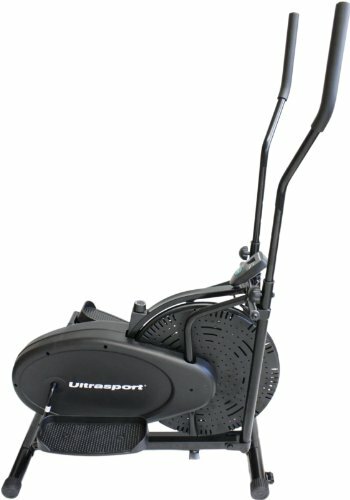 Ultrasport Basic X-Trainer 100 Cross Trainer Detailed Review? CLICK HERE. The Charles Bentley Fitness Elliptical Cross Trainer looks similar to basic cross trainers, but it can be a challenge even for fit people. 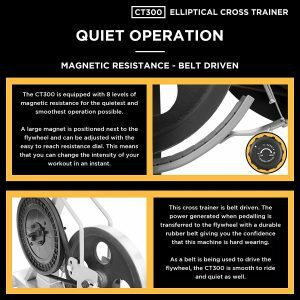 This cross trainer has a 4kg flywheel with eight levels of magnetic resistance. According to the customers, the higher resistance levels on this model can be difficult for beginners and can be tough even for those with more advanced fitness levels. This cross trainer also works quietly, so you don’t have to worry about any squeaky noise. Charles Bentley Fitness Elliptical Cross Trainer Detailed Review? CLICK HERE. 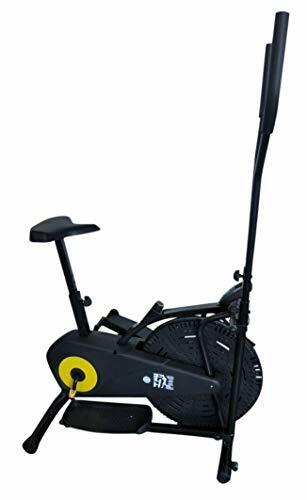 The JLL CT300 Elliptical Cross Trainer isn’t the best nor the cheapest in its kind, but the fact that it’s functional yet affordable make it valuable for your money. This cross trainer is suitable for novice users who are seeking for a challenging workout to improve their fitness level. It’s also effective for weight loss, muscle training, and for a regular cardio exercise.